In this article instructors learn how to improve students’ reading and writing skills using news stories and the 5 W's of journalism. Students in return write one-page summaries of news stories as a part of their writing assignments. Reading for EFL students, in general, increases vocabulary, advances writing, and boosts general language proficiency (Nagy & Herman, 1987; Krashen, 1984; Grabe, 1991, respectively). Basically there are two types of reading in teaching EFL, extensive and intensive. Extensive reading involves students reading texts for pleasure and to develop general reading skills. It can be compared with intensive reading, which means reading in detail with definite learning aims and tasks. The significance of reading in the ESL classroom is well known. Despite the benefits of reading, it is challenging for many students to move from short, intensive passages to longer texts. This is especially true in countries where the grammar-translation method is still used to teach English in secondary schools (Hino, 1988). Thailand is no exception. How can EFL instructors help students make this transition? News stories and the 5 W's of journalism offer a solution. For the purposes of the ESL reading, news stories may be thought of as having two parts: the first sentence (or lead), and the rest of the story. The lead contains the most important information in capsule form, one that journalists commonly refer to as the 5 W's: who, what, when, where and why. These questions are crucial for catching a reader's attention and introducing the essential facts of the story. Most leads provide answers to who, what, when and where. Depending on the story, a lead may also answer the questions why and how. Because the lead is so short, it can be used to help students practice intensive reading. In the rest of the story, the article gives additional information relating to the 5 W's and how. It expands upon any questions already answered in the lead, and often answers other questions that were not addressed there. The second part of the story provides a good opportunity for extensive reading. Instructors can also present the inverted pyramid style of writing news stories to students. The 5 W's are not only the building blocks of news stories but also of communicative English. This makes them very useful for EFL students. Also, because of the popularity of the internet and other media in many countries, most students have some knowledge of current events, and thus a lot of background knowledge with which to decode news stories. They can also raise global and cultural awareness of EFL students. This makes news stories, and especially front-page news stories, accessible to the class. The fact that four out of the 5 W's are normally answered in the first sentence not only focuses attention on a short passage but also prepares students to tackle the rest of the story where the same information is repeated and expanded upon. The 5 W's thus provide a transitional device for pulling students deeper into a text and increasing their reading ability. This article will outline the steps for a general lesson in reading news stories and writing news summaries. As a part of class assessment, students will write and talk about two sets of four news summaries. The first set is due before midterm and the second set after midterm. As mentioned above, news stories are a good teaching resource for EFL students. They are real, relevant, current, and interesting. Like all lessons, news lessons should be structured and have a clear goal. Students are therefore given the assignment sheet with instructions as the example below. Be sure to write your name, section, and student ID. 3. Why did you choose this article? 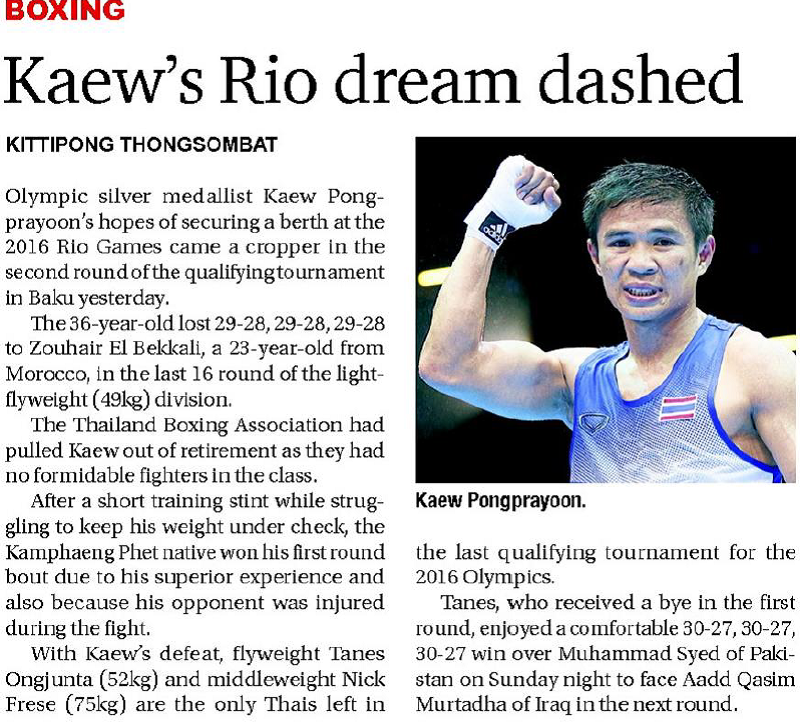 This news story is from the Bangkok Post, one of Thailand’s English language newspapers. 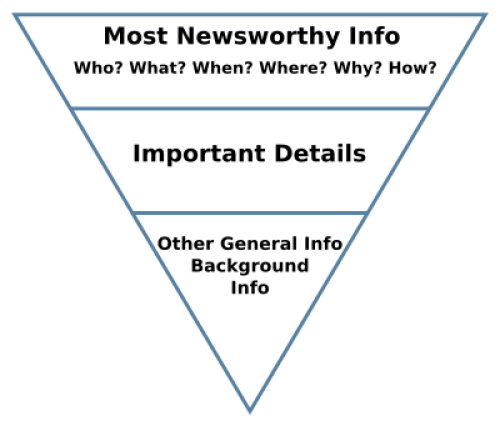 It shows the inverted pyramid style that puts the most newsworthy information at the top, and then the remaining information follows in order of importance, with the least important at the bottom. News stories provide a wealth of material for the ESL class, focusing on reading and writing. They serve both extensive and intensive reading purposes. The 5 W's improve both intensive and extensive reading skills by helping the student focus on specific information (in the lead), and information that is a little more general (in the rest of the story). Students feel a sense of accomplishment at having acquired information about the world while improving their ESL reading and writing abilities. • Grabe, W. (1991). 'Current developments in second language reading research.' TESOL Quarterly 25/3: 375-406. • Hino, N. (1988). 'Yakudoku: Japan's dominant tradition in foreign language learning.' JALT Journal 10/1&2: 45-55. • Krashen, S.D. (1982). 'Principles and Practice in Second Language Acquisition.' New York: Prentice Hall. • Nagy, W., & Herman, P. (1987). 'Breadth and depth of vocabulary knowledge: Implications for acquisition and instruction.' In Mckeown, M., & Curtis, M. (eds. ), The nature of vocabulary acquisition. Hillside, NJ: Lawrence Erlbaum. (pp. 19-35). Chakri Kasatri is a lecturer at the International College for Sustainability Studies, Srinakharinwirot University, Bangkok, Thailand where he has been teaching for over eight years. He teaches English and Social Studies in the General Education Curriculum. He has a B.S. in Economics, a master’s degree in Public Administration, and is currently a Ph.D. candidate in Political Communication. His research interests include language and politics, media and politics, and literature and politics.